Ever tried getting out of debt but don't know the first steps to get started? It's easy to want to get out of debt, but for many people that never translates to actually taking the right steps to begin the process. 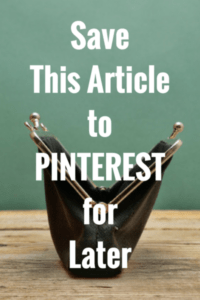 In this article, I'll show you the best first steps you can take right now to start getting out of debt. These are steps anyone can do, and they'll help you get the ball rolling so you can start getting out of debt for good! One of the first things you should realize is that it's not always easy to get out of debt. Now, with that said, it’s definitely not impossible. Anyone can do it when they're totally committed to the process! The first time Angie and I tried getting out of debt was a half-hearted attempt. In fact, we ended up failing miserably. But once we decided that failure was not an option and we completely committed to paying of our debt for good, that's when the good stuff started happening! Since then we've paid cash for all our vacations, three cars, two college degrees, and three more college degrees currently in progress! It takes work, time, and patience to get the job done, but the debt free results are definitely well worth the effort! Before you start these 5 simple steps, the first thing you have to do is get your mind and attitude right. You have to decide you won’t be denied in achieving your goal of debt freedom. That means you have to get mad and naked (find out more about that here). Write down a detailed list of every single debt you owe. No matter how small or large, write each one down and be totally honest with yourself. You'll never get out of debt until you stop living in denial about how much you owe. Add up all your debts to get a grand total of how much you owe. Then add up all your monthly payments to figure out how much you’re paying toward your debt every month. Once you know how much you owe, then you can make a plan. It's absolutely essential to have written a plan if you want to succeed at getting out of debt. The first step is to fill out a “Debt Rocket” plan (some people call it a “debt snowball”) that shows you everything you need to pay off your debt in a systematic way. You can download free Debt Rocket forms here. They include complete instructions on how to fill them out and how the Debt Rocket plan works. It frees up money you didn’t know you had because you haven’t been keeping track effectively. A budget helps you figure out if you need to earn more, spend less, or both. A budget gives a name and a place for every single dollar, so you never spend more than you make. If you've tried budgeting before and failed, read this post to figure out why that happened. This one is helpful too. To learn more about how to start a budget, read this post on how to make a budget, and download the free budgeting forms you’ll find there. 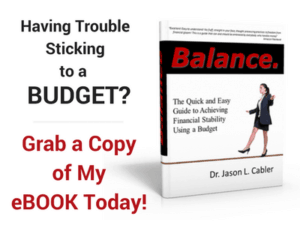 I also wrote a great book on how to start budgeting that's easy to follow and can get you up and running quickly. You can find out more about it here. Of course, doing the five steps above won't get you completely out of debt. There's definitely more to it than that. As I said before, getting out of debt isn't always easy. It takes plenty of time, patience, and commitment to get the job done. Usually the hardest part is just getting started. 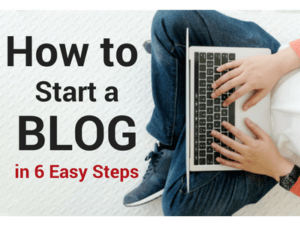 I can tell you from personal experience, taking that first step is always tough. Angie and I were resistant to change because we didn't want to get out of our comfort zone. Eventually though, we realized our “comfort zone” was much more uncomfortable than changing our ways with debt. Changing habits and mindsets usually doesn't come easy. In fact, our mind, body, and spirit all have a tendency to be resistant to change. But when you're trying to change your life and finances for the better, it's always worth it! So I'm encouraging you to get mad and naked. Decide you’ve had enough of all that debt dragging you down, making you feel stressed and worried. Then proceed with these 5 simple steps for getting out of debt and bring permanent change to your life. If you’ve decided it’s time for you to commit to getting out of debt, these 5 steps will get you a quick start. 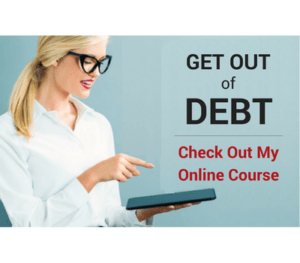 You can also get a deeper teaching by taking my CFF online get out of debt course. Find out more about it here. Question: Have you ever wanted to out of debt but never took the first step? What held you back? Leave a comment and tell me about it. 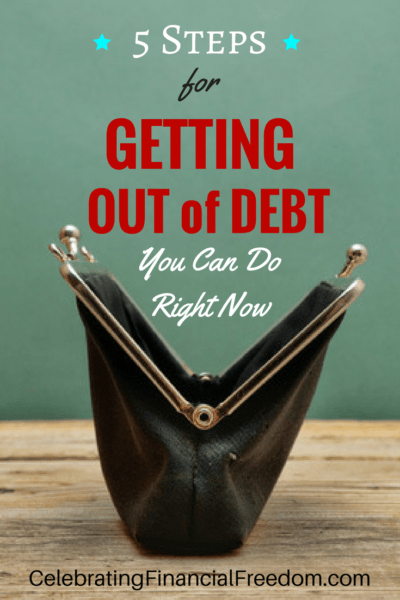 5 simple steps to start getting out of debt right now. Getting out of debt isn't always easy but it's not hard to get started. These simple steps get you organized & on the right track to tackle getting rid of debt permanently. This may be a case of not being organized enough with your get out of debt plan. If you make a written get out of debt plan that includes an emergency fund, you have a much better chance of working your plan to completion, even if you experience a bump in the road. If you have any questions about your specific situation, don’t hesitate to shoot me an email, I’m happy to help! My wife and I are $600 away from paying off the last of our $37000 of student loan debt. We did almost exactly what you have offered here as we worked on paying it off. We are never going back into debt for anything (house included) and man it feels so good to almost be there. Dude, that’s awesome! Feels great to see light at the end of the tunnel doesn’t it? That just proves this stuff actually does work when you stick with it. It won’t be long now! The surprising thing for my wife and I when we were first starting our process of paying off credit card debt is that we didn’t even know how much we really owed. As things get out of control you put on blinders and don’t even want to know. We were SHOCKED when we finally added it all up. Change definitely doesn’t not come easy…..we had no idea how much we really needed to change our lifestyle at first. It was an iterative process over time…it would have been much easier had we come to grips with the change that was necessary at the start! I think one of the biggest things most people have to overcome is just realizing the truth of their situation and how they got there. It’s so easy to put it off, ignore it, and forget about it because facing the truth is hard. I think you’re right that it’s an iterative process. It takes time to come to grips with it all and start figuring out the steps to change your situation. It’s the people who are willing to figure it all out and move forward that succeed in getting out of debt.